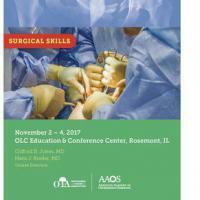 Gain a better understanding of the relevant anatomy and surgical challenges during this dynamic hands-on skills course. The majority of your time in spent practicing surgical procedures on cadaveric specimens in the hands-on skills lab, exploring the appropriate usage and placement of clamps for reduction, and appropriate fixation devices for each fracture type. Learn the best strategies for preventing potential complications and participate in debates between expert surgeons on case controversies involving prevalent and complex pelvic and acetabular injury patterns. Compelling academic lectures and surgical demonstrations round out your course experience.